You can be ejected for swearing? Hope we take 500 plus it will be my 4 away this season after Millwall, Derby and Bristol City. Does anyone know if it’s on the red button? 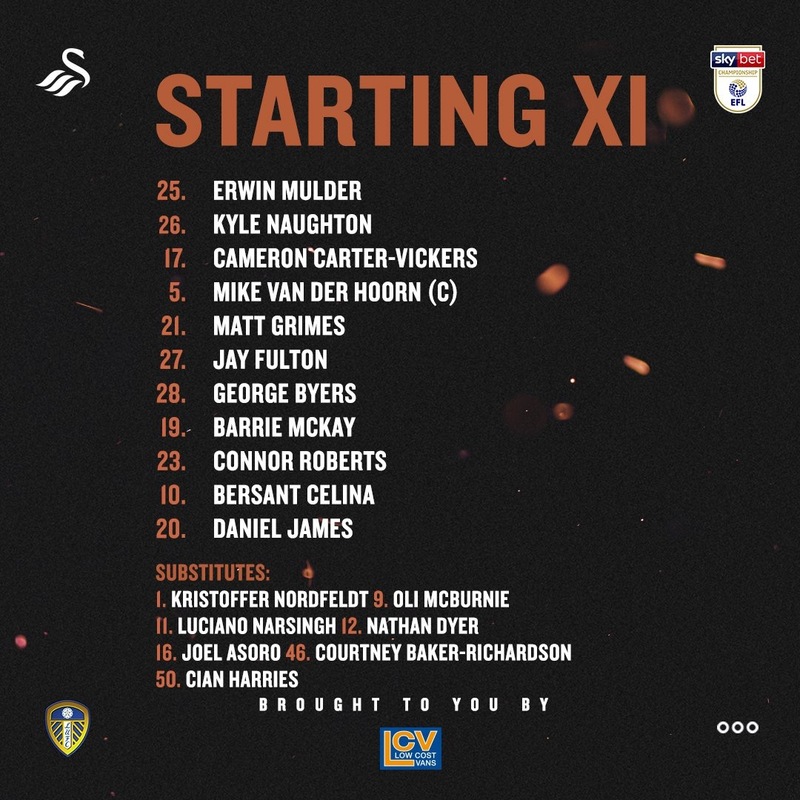 McBurnie still struggling and they should have some centrebacks fit this time. Could be a tough one. But our team overall is much stronger than the one we used against them last time. Fulton, McKay, Roberts on the wing... it worked well in that game but we've got better now in Grimes, DJ and Routledge (if fit). Thank you. The reason I asked was because I checked on the Sky website and they show. 5 matches on the box, 4 of which are red button but not the Leeds game? You looking at Tuesday instead of Wednesday, maybe? Sounds like he will based on the press conference. No suggestion he'll rest him with three games in 8 days, or that the occasion will make it too tough for him. It is in the original post! Live on Sky Sports Red Button! Doh, spot on, that’s what I did. Thanks again. Yes, sorry JH, having a bad day methinks. I’ll just go and have a nice lie down. Gonna be close I think, but should we come up short, no injuries for Sunday please!!! TICKETS GO OFF SALE AT 4.00pm TUESDAY. THERE WILL BE NO TICKET SALES ON MATCHDAY. Are you saying they were run ragged because they were makeshift ? It was one of the only times this season McBurnie has looked class playing as a true number 9 leading the line, so yeah, being up against Ayling and Berardi instead of two proper centre halves made a big difference. Potter plays him where he does for good reason. 0-3. As long as everyone who started on Saturday, plus McBurnie, is fit to start. 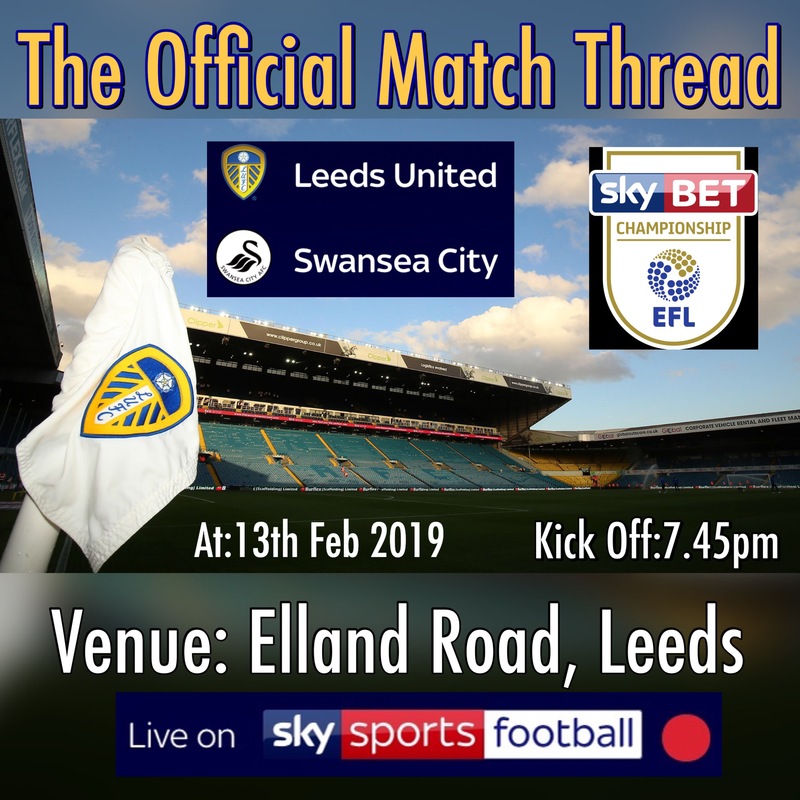 Leeds United: Sprake, Reaney, Cooper, Bremner, Charlton, Hunter; Lorimer, Clarke, Jones, Giles, Madeley. Unused Sub: Yorath. A lot of people I know talk about that game and said a lot about what Alan Clarke did. They are still angry about it. I was too young so not sure what actually happened. I was there that day and seemed to remember the Leeds fans pelting Mel Nurse with things,amongst which were a few oranges, when he walked off. He spewed for a while after the game. Hopefully has recovered. I was at that one, on my dads shoulders.